I feel like we're in the Twilight Zone! My daughter took one look at this photo and said. "Ewww!!! Is that the tower of terror?" lol. 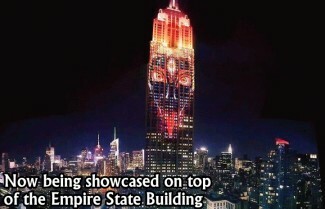 The post The Empire State Building Hosts Kali appeared first on Watchmen in the Wilderness. 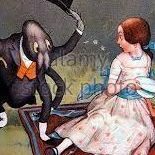 I think that is really creepy to tell you the truth.And your daughter is right.The tower of terror is a good name for it.It appears evil and dark.Actually it is sad.I am thinking that we will be seeing more of this sort of thing. First at CERN now this. 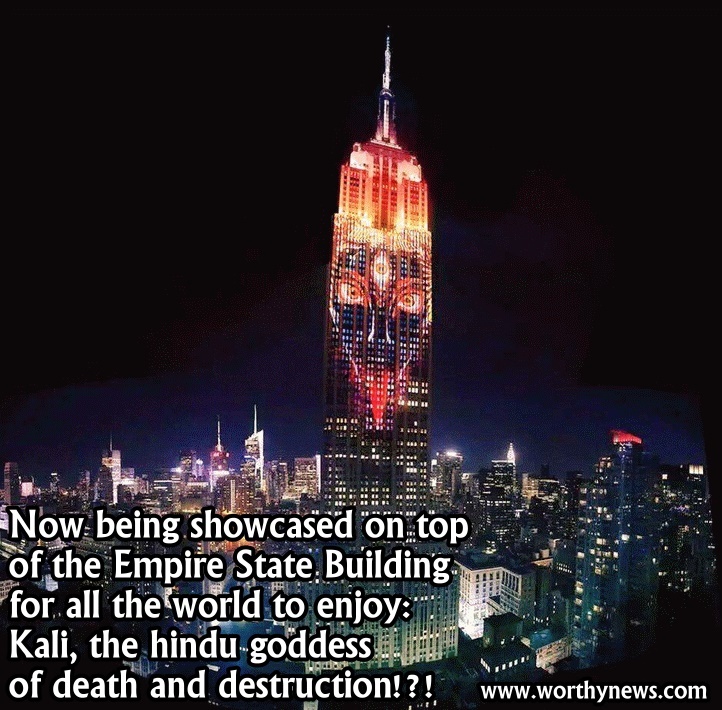 I'm really not used to seeing Hindu gods and goddesses of destruction out in the open..
Wicked looking thing to say the least. May we all be looking to stay on this side of things!